In 2010 we had first a torrential hurricane, then only a week or so later we had a series of torrential rainstorms. 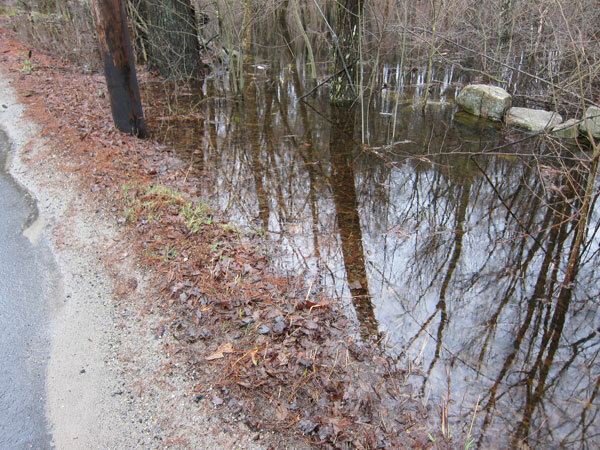 It caused flooding all across New England, and Sutton was not immune. Many peoples' front yards turned into lakes. Our basement flooded, which it has never done before. Many roads became rivers. I took the below photos about 3pm on March 31st, after things had dried out somewhat. 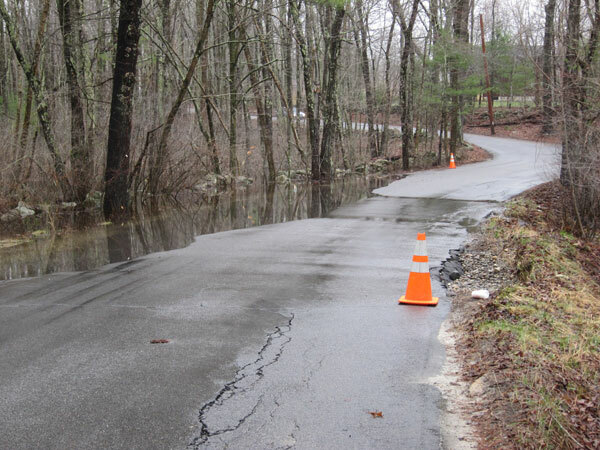 On the 29th and 30th, this road was several inches deep in a strongly flowing river, as marked by the cones. 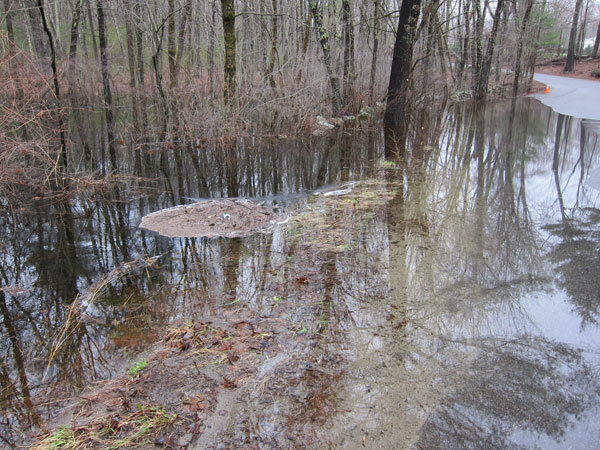 Here the "river" is settling down to a gentle - but still moving - stream. 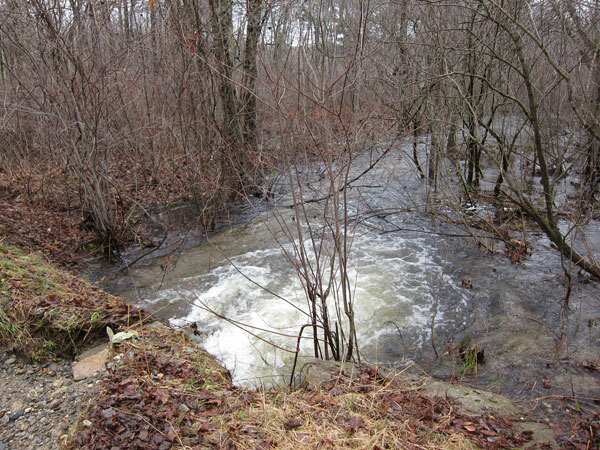 Here's the outflow from the under-road pipe which is usually not moving at all. 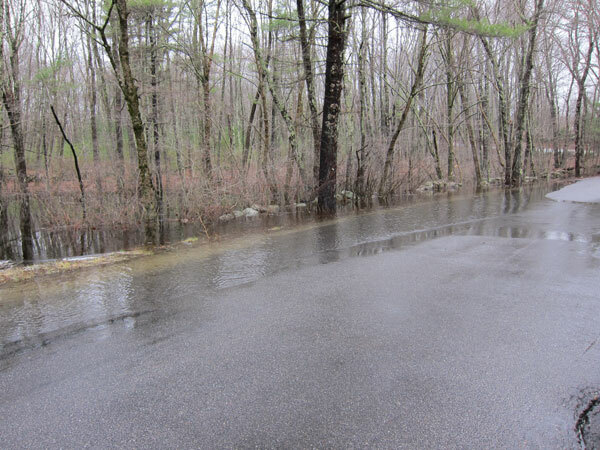 The wetlands to the north side of the road, usually a moist swamp, is now a fully functional lake. It's hard to show how the water is moving across the road. This isn't bad though. Yesterday it was extremely impressive. 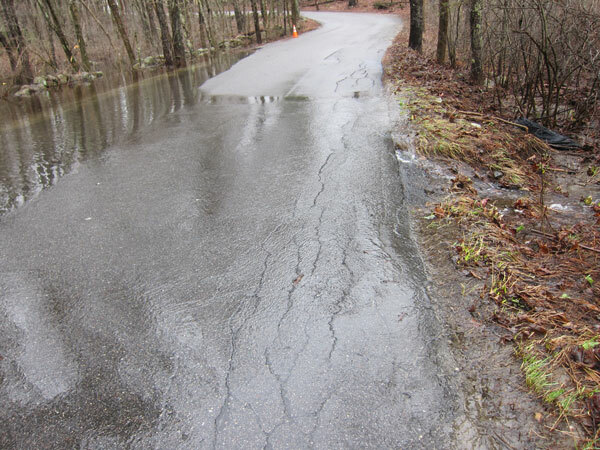 Another look along the "lake" which has climbed onto the road. This stone wall is usually just a normal edging to the road. Amazingly, by later that same evening, the road was pretty much back to normal!